The invitations are out and it’s official! 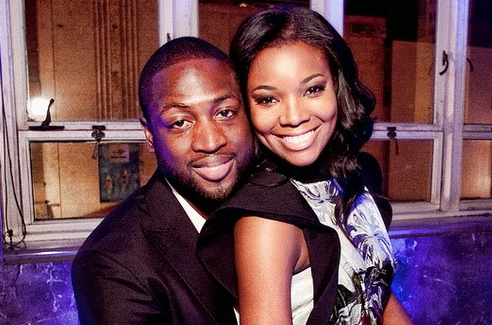 Gabrielle Union is set to marry her long-time beau Dwayne Wade on August 30, 2014. And according to TMZ, wedding guest have already been warned that NO CAMERAS and NO PHONE CAMERAS allowed… which could be a huge problem, since their guests are ADDICTED to social media! It’s all set to go down at a mystery location in Miami on August 30th. Guests have been instructed to meet up at a famous hotel — where they will be transported to the wedding site. Sources tell TMZ Dwyane Wade and Gabrielle Union sent out “save the date” notices for their upcoming wedding in Miami on August 30th. 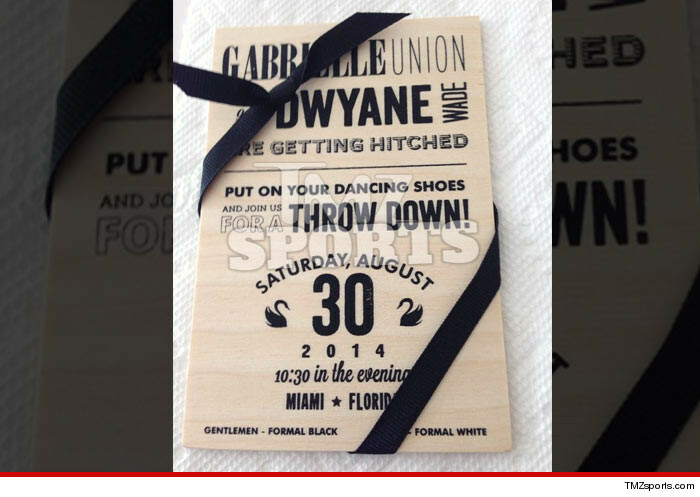 Dwyane Wade‘s wedding guests better pack flip flops — TMZ has learned, his upcoming nuptials to fiancée Gabrielle Union will take place on the surface of the sun … aka Miami in August … and we have the Save the Date invite pictured below. I think Gabrielle Union is a bit delirious and the talking too much is giving her away. Gabby said, coming from a product of divorced parents, she’s well prepared to be stepmother to her fiancé Dwayne Wade’s boys. I’m lucky that I come from a family that went through divorce. My parents were married for 30 years before they got divorced and I’m sure after 30 years there was bitterness, anger, and resentment and fear and all sorts of things. But I don’t know [for sure] because they never made it our issue, they handled their divorce and our subsequent transition into a blended family with grace and dignity and respect and always put us first and didn’t involve us. So I’m lucky that i can just mirror what my parents did and always put the kids first. I guess this includes Dwayne Wade’s newest addition as well. The “Being Mary Jane” actress appears to be so happy at this point in her personal life and career. Miami Heat superstar guard Dwyane Wade has admitted what everyone already knew: that he fathered a now 5-week old infant son with a groupie. Wade made the comments prior to last night’s Miami Heat vs Denver Nuggets game, according to ESPN. 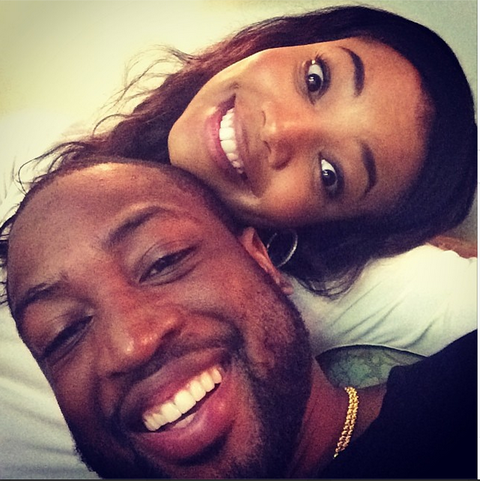 After the blogs got wind of the groupie’s pregnancy, Wade and his fiancée, Gabrielle Union, released a statement saying they had taken a break from each other. But the groupie disputed the timeline, saying she and Wade had intimate relations while Wade and Union were still together. Friends of the couple whisper that Union knew about the baby, and she was devastated. “He proposed to her to try and ease the pain of his betrayal,” said the source. Wade has custody of two sons, Zion and Zaire, from his previous marriage to high school sweetheart Siovaughn Funches. Asked if the baby compromised his book about fatherhood, Wade said it did not.